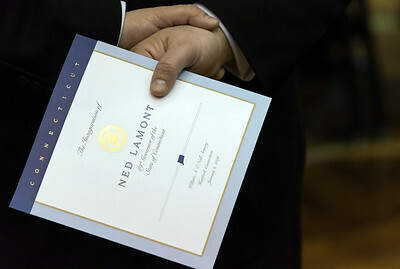 01/09/19 Wesley Bunnell | Staff A guest holds a handout from inauguration ceremony for Governor Ned Lamont. 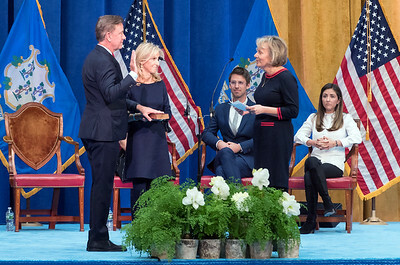 01/09/19 Wesley Bunnell | Staff The oath of office is administered to Ned Lamont by former Chief Justice Chase T. Rogers. 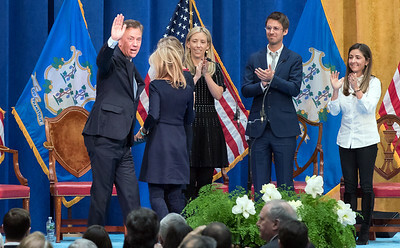 01/09/19 Wesley Bunnell | Staff Governor Ned Lamont waves to the crowd just after being administered the oath of office. 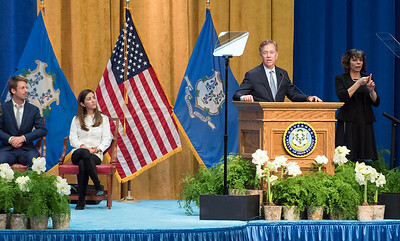 01/09/19 Wesley Bunnell | Staff Governor Ned Lamont speaks to guests after being sworn in as governor. 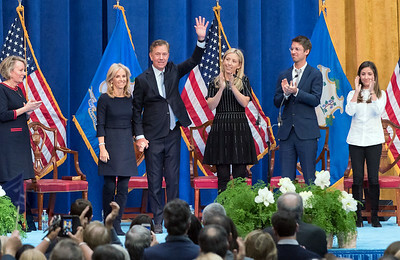 01/09/19 Wesley Bunnell | Staff Governor Ned Lamont waves to the crowd while standing with his wife Ann Lamont and children Emily, Lindsay & Teddy. 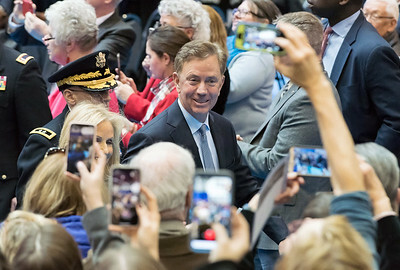 01/09/19 Wesley Bunnell | Staff Governor Ned Lamont and wife Ann Lamont walk out of the State Armory after being sworn in as governor. 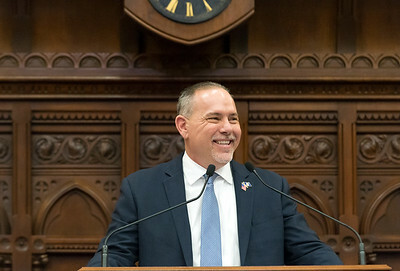 01/09/19 Wesley Bunnell | Staff Governor Ned Lamont stands in front of the main entrance to the State Armory just prior to his parade. 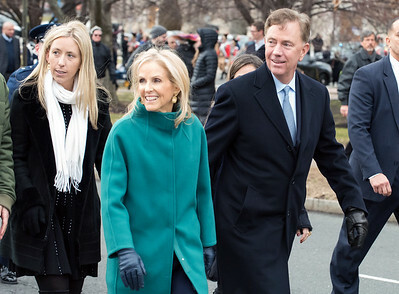 01/09/19 Wesley Bunnell | Staff Governor Ned Lamont walks at the start of his parade from the State Armory to the Legislative Office Building with his wife Ann Lamont and children Emily, Lindsay & Teddy. 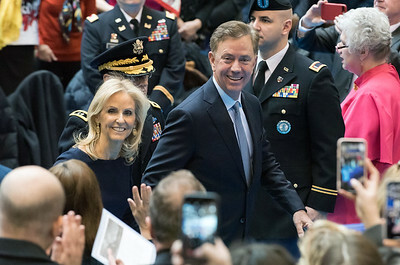 01/09/19 Wesley Bunnell | Staff Governor Ned Lamont and wife Ann Lamont during their parade from the State Armory to the Legislative Office Building. 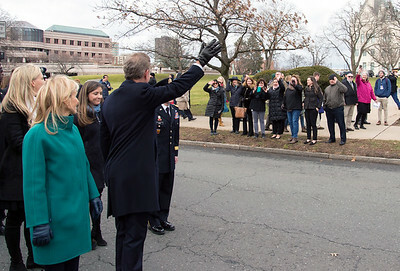 01/09/19 Wesley Bunnell | Staff Governor Ned Lamont waves to the well wishers who lined the parade route from the State Armory. 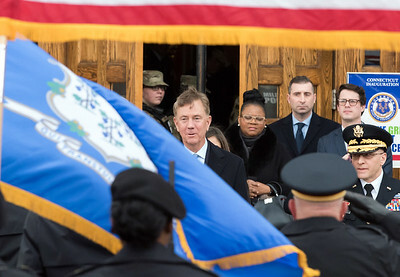 01/09/19 Wesley Bunnell | Staff Governor Ned Lamont and his wife Ann Lamont look over to acknowledge well wishers who lined the route during his inauguration parade. 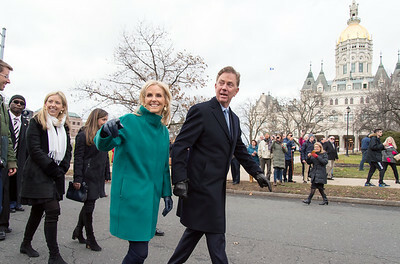 01/09/19 Wesley Bunnell | Staff Governor Ned Lamont and his wife Ann Lamont walk side by side during his inauguration parade. 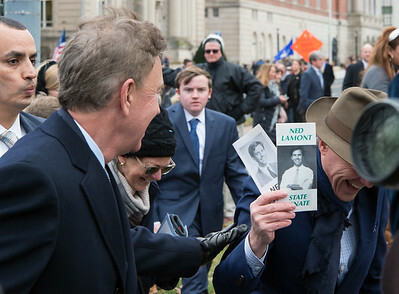 01/09/19 Wesley Bunnell | Staff Governor Ned Lamont enjoys a laugh with a a person holding Lamont's brochures when he ran for state senate. 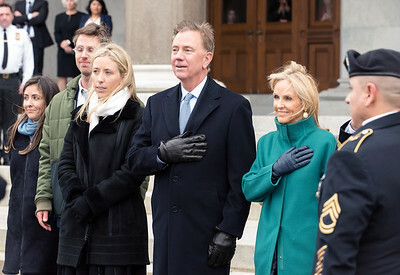 01/09/19 Wesley Bunnell | Staff Governor Ned Lamont stands with his wife Ann Lamont, R, and children Emily, Lindsay & Teddy outside of the Legislative Office Building just after the parade from the State Armory. 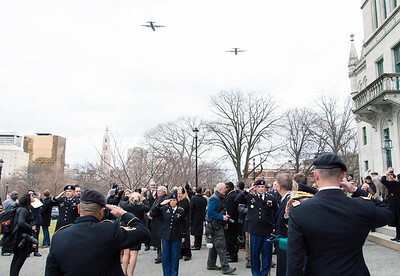 01/09/19 Wesley Bunnell | Staff C-130 military aircraft during a flyover of the state capitol building after the completion of Governor Ned Lamont's inauguration parade. 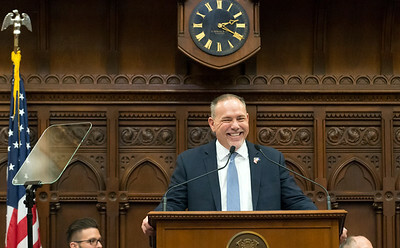 01/09/19 Wesley Bunnell | Staff State Rep. and House Majority Leader Joe Aresimowicz speaks to the House prior to Ned Lamont's State of the State. 01/09/19 Wesley Bunnell | Staff Lt. 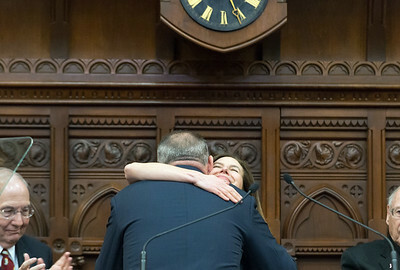 Governor Susan Bysiewicz hugs State Rep. and House Majority Leader Joe Aresimowicz just prior to her speech. 01/09/19 Wesley Bunnell | Staff Lt. 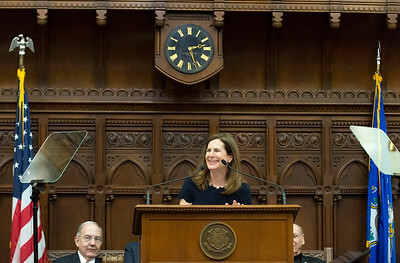 Governor Susan Bysiewicz smiles during her speech to a joint session of the CT General Assembly. 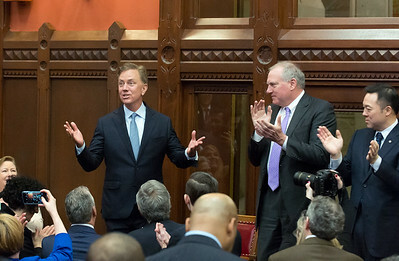 01/09/19 Wesley Bunnell | Staff Governor Ned Lamont walks into a standing ovation prior to his State of the State speech to a joint session of the CT General Assembly. 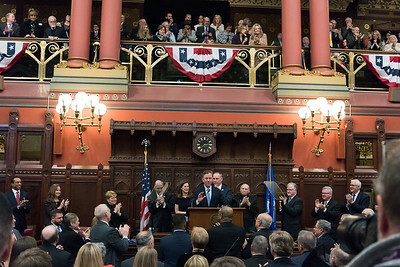 01/09/19 Wesley Bunnell | Staff Governor Ned Lamont is given a standing ovation just prior to delivering the State of the State address to a joint session of the CT General Assembly. 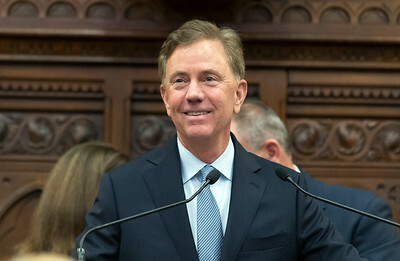 01/09/19 Wesley Bunnell | Staff Governor Ned Lamont smiles just prior to his State of the State speech to a joint session of the CT General Assembly. 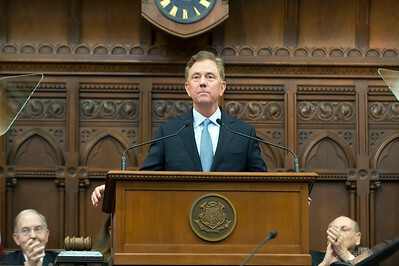 01/09/19 Wesley Bunnell | Staff Governor Ned Lamont discusses his plan to revive the state's economy his State of the State speech to a joint session of the CT General Assembly. 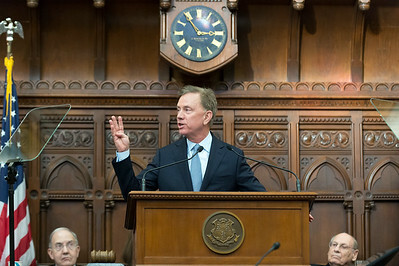 01/09/19 Wesley Bunnell | Staff Governor Ned Lamont during his State of the State speech to a joint session of the CT General Assembly. 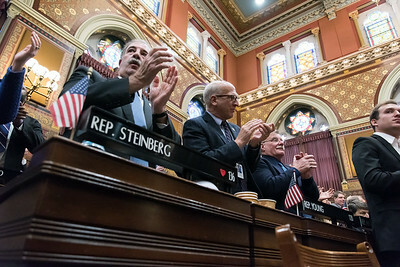 01/09/19 Wesley Bunnell | Staff State Rep. Steinberg and State Rep. Young stand and applaud during Governor Ned Lamont's State of the State address. 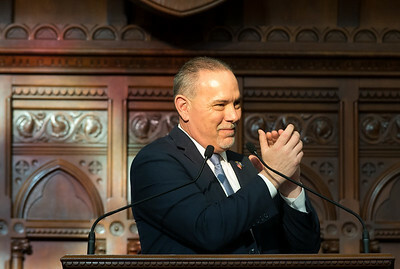 01/09/19 Wesley Bunnell | Staff State Rep. and House Majority Leader Joe Aresimowicz stands with Lt. 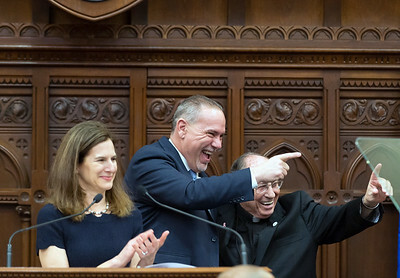 Governor Susan Bysiewicz, L, after Governor Ned Lamont's State of the State address.